Binder, the secret of briquette making. 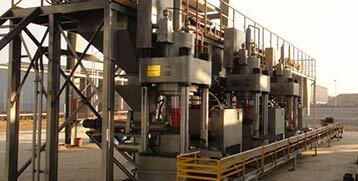 For most of the briquette plant, add binder is the commonest way for the process. So, what kind of binder can be used for the briquette process? What are their advantages and disadvantages? What are the important factors we need to consider for choosing binder? Is it possible to make briquette without binder? Let follow the article and solve these problems. We can find briquette machine with varies types, screw type (extrude type), hydraulic type, roller type, punching type, etc. 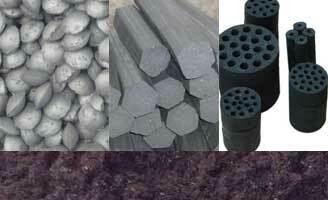 These different type briquetters works under different pressures. 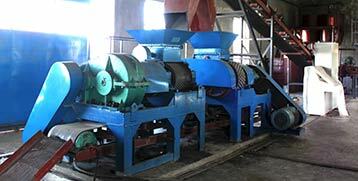 As a matter of reducing the pressure for briquette making, binder thus plays an important role. Using binder will make some kinds of materials work with different types of briquetter due to the lower pressure requirement. Binder also gives a high strength to the briquette. 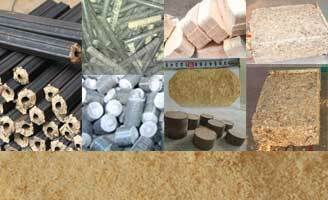 With different usage, we may choose different binders for our briquette. For example, starch, which is a very common binder and easy to get, also make a good performance on briquette making, it is widely used to make BBQ charcoal as it’s natural and smokeless way. But in industrial usage like make briquette for furnace, as the high temperature strength of starch is that bad, silicon-containing binders widely used this time. Those liquid binders also improve the briquette making the performance by the function of lubricating to increase the service life of the briquette moulds. With the action principle of briquette making for the raw material, binders can be divided into three types. matrix type, film type, chemical type. These binders normally used for extrusion and compression briquetting. Normally the void volume between the raw material will be around 2-10%, this type of binder will full fill the gap between the raw material, increase its plasticity and the particle bonding strength. It also has other functions as dilution and lubrication, and reduce the internal friction of the raw material. Most of this type are liquid binder. The binder coats the particle of the raw material like a film. After briquette and dried, it will increase the strength of the briquette. It uses the surface tension to pull the material together. The most important factor is the specific surface area. Material with tiny particles will cost more binder of this type. 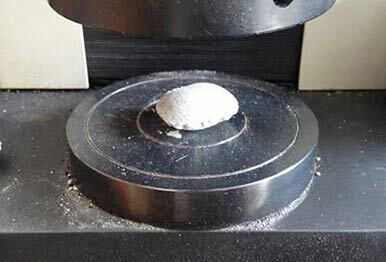 For those materials with small bulk density and high specific surface area like charcoal, the binder cost will be much more even than 30% ( most of which is water ). The chemical type is a kind of binder with the chemical reaction between the multiple mix binder or binder to the material, thereby increasing the bond strength between the material particles. For example, quicklime and water. The Common starches we usually use as binders are from maize (corn starch), potato, and wheat, and less-common starches from rice and tapioca. Normally, a starch needs to be gelatinized by thorough cooking in water at a temperature between 60°C to 80°C. This temperature disrupts the intermolecular bonds, creating hydrogen-bonding sites for attaching additional water molecules and makes the starch soluble in cold water. After cooking, the starch is dried in a spray dryer, drum dryer, or extruder. You can buy pregelatinized starch, but it’s substantially more expensive than raw starch. Cement is used as a binder for briquetting coal, char, and charcoal and then for briquetting iron and steel wastes. Now cement is widely used in the steel plant as one of the main binders. But use cement will bring gangue and crystal water, so to reduce the cement cost can help to increase the purity of briquette, as cement need a long time to get an ideal strength, add other binders with small dose will improve this work, like sodium silicate, etc. Molasses has been utilized individually as the binder or with lime for a long time — especially slaked lime (calcium hydroxide [Ca(OH)2]) — to briquette coal and other materials like the waste in the steel plant. Gotten from sugarcane or beets, molasses’ ingredients can be much different upon where the plant grows, how it was made, and also has things to do with the season. Molasses is very thick, however it turns to be more liquid when it was heated, enabling it to be easily mixed with slaked lime. Commonly, the ratio of molasses to lime is between 2 to 1 and 4 to 1. Most bentonite binder is used as the binder for iron ore briquette making, especially the sodium bentonite. The main ingredients of bentonite are SiO2, Al2O3，Fe2O3，CaO, add few bentonites will significantly increase the burst temperature of the briquette. 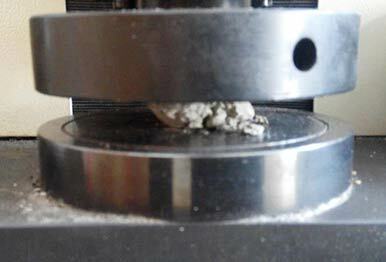 Bentonite has a super high moisture control ability compare to other Inorganic binders, thus makes it irreplaceable. Sodium silicate is used in liquid form as a binder in briquette making. It is low cost, non-toxic and environmentally friendly. But making briquette with sodium silicate need the material with low moisture which causes more dust pollution. The sodium silicate with high quality are with light yellow color and almost totally transparent. Sodium silicate is high in alkali metal content which should be avoided by adding too much to cause damage to the blast furnace. In order to find the best binder for your briquette plant, you need to find specific answers to these questions. The key to your suitable binder is its cost effectiveness. And check over these questions then it helps you find the very binder you can use. 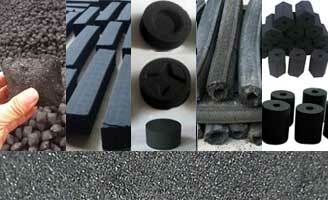 Coal is a material which is widely used in domestic and industry for different usages. 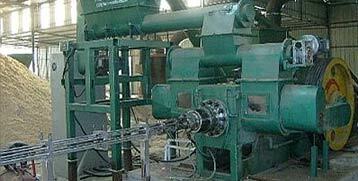 Coal briquetting process normally follow a binder briquetting way. Here we list the coal briquette binders.